Robotics specialist German Bionic presents the first connected robot exoskeleton for use in the Industrial Internet of Things (IIoT), at the Hannover Messe. The groundbreaking German Bionic IO cloud platform connects the third generation of the successful Cray X exoskeleton with all common enterprise solutions and networked manufacturing systems, thus enabling complete integration into Smart Factory and Industry 4.0 environments. Besides cloud services such as wireless software updates (OTA) and predictive maintenance, German Bionic IO facilitates the continuous optimization of the intelligent control system through machine learning and lays the data-scientific foundation for the next development stages of bionics. "German Bionic IO is currently the world's leading industrial IoT suite for exoskeletons," says Armin G. Schmidt, CEO of German Bionic. "In addition to seamless integration with the Smart Factory and the availability of all relevant cloud services, German Bionic IO delivers the data-scientific basis for AI applications and the next level of bionics - always with the goal of improving user health and work productivity," continues Armin G. Schmidt. The third generation of the German Bionic Cray X, the first robot exoskeleton developed and produced in Europe, impresses at first sight with its extraordinary ergonomic industrial design. Alongside a new height-adjustable carrying system and the minimized carbon cladding, the integrated display unit is particularly striking. It allows the user to make adjustments to levels of support assistance, sensitivity and response time - directly on the device. It also represents the interactive interface between the user and Smart Factory environments. The Cray X was nominated for the Hermes Award 2018 and has also been honored with the Land of Ideas Award 2018 and the Automatica Award 2018. 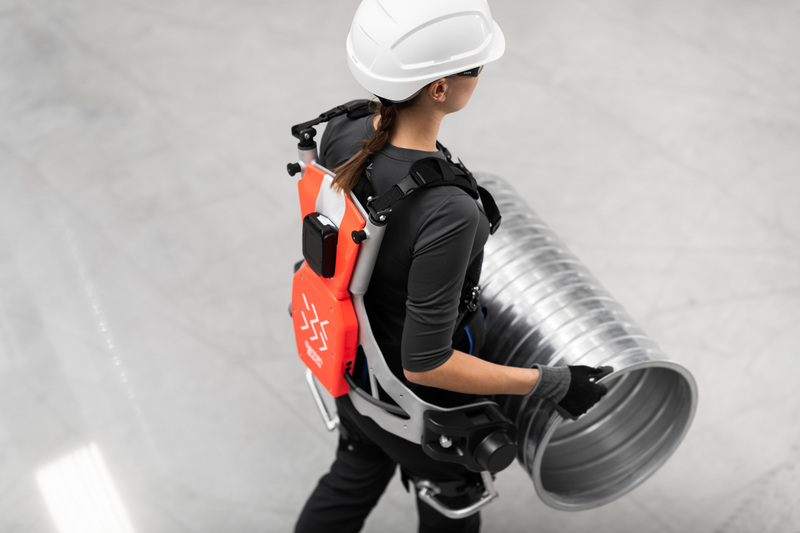 German Bionic, located in Augsburg, Berlin and Tokyo, is the first German manufacturer to develop and produce exoskeletons for use in industrial production. Exoskeletons are human-machine systems that combine human intelligence with machine power by supporting or amplifying the movements of the wearer. The German Bionic team is also committed to researching the role of humans in industry 4.0. Learn more about German Bionic, its products and the minds behind the company at: www.germanbionic.com.